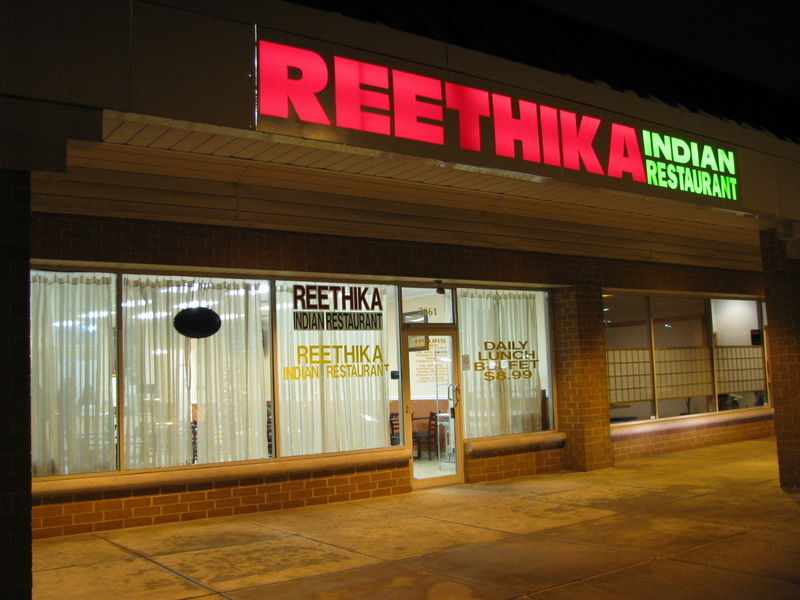 Reethika (pronunciation – think ‘Ithaca’ with an ‘R’ in front) perhaps isn’t quite as flashy as some of the other new Indian restaurants in Columbus, but their Hyderabadi home-style food is very noteworthy and the welcome is warm. They opened quietly at the end of November but the location, between the two large Indian markets on Sawmill, guaranteed they wouldn’t go unnoticed for long. The friendly owners are Mr and Mrs Reddy, and Reethika is named after their daughter who also works in the restaurant. They family hails from Hyderabad, a large city in Southern India. Reethika offers an $8.99 buffet for lunch, which is comprised of more interesting dishes than we’re conditioned to expect. Buffet items change daily, though all come with an order of fresh (and excellent) chapatti. A separate section of the buffet contains chutneys, raita and dessert. The chutneys are exceptional and are obviously freshly made. Dinners have been equally good, and many of our favorite dishes so far have been the appetizers. The seekh kebab was a standout, extremely flavorful and well seasoned; the tandoori chicken wings (unusually and deliciously deep-fried), Manchurian cauliflower and the mirchi pakoda, green chilis deep fried in a crunchy spicy gram flour batter. 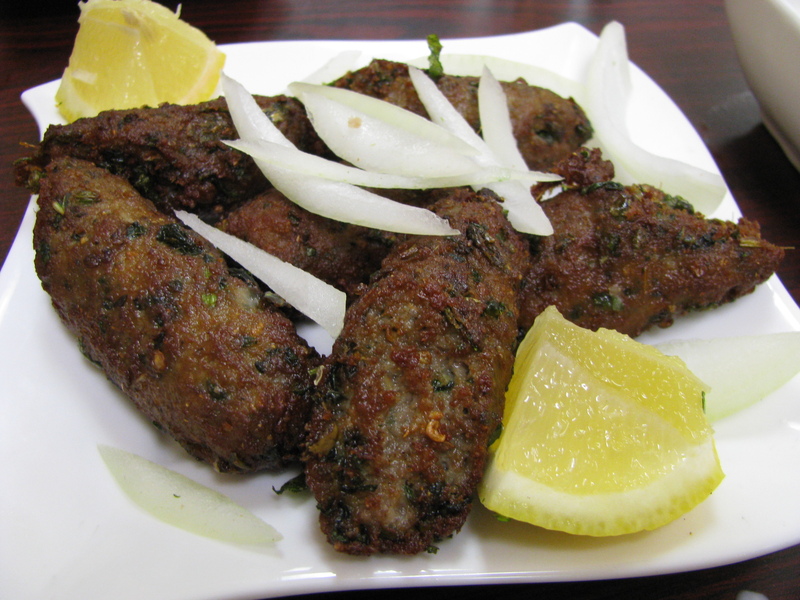 Pakoda is an alternative spelling of pakora. 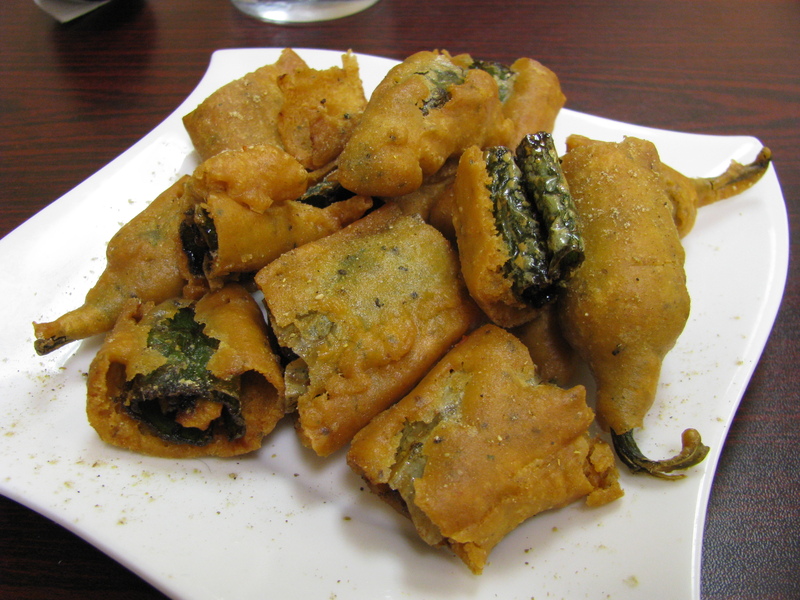 The palak pakoda was extremely light and crisp. Of the entrees the green chicken curry is notable. A complex mix of spices and herbs, hard to pin down but vibrant in color and flavor. The mutter paneer (fresh homemade cheese cubes cooked with peas) was well above average and the paneer was nicely browned. Reethika caters well for vegetarians with five vegetarian appetizers and nine vegetarian entrees. They have plans to offer idli and dosa at the weekends and there are often daily specials. This entry was posted in Indian, Restaurant and tagged Columbus, hyderabadi, indian food columbus. Bookmark the permalink. Tried this place today and it was very good. The flavors were unique and interesting. I work in Dublin so I am always looking for new places to try. Thanks for finding this place! We have gone back several times – reading this has me craving the cauliflower appetizer from dinner menu and those tandori chicken wings from the lunch buffet. I love the seasonings and spices that are unique to each dish. Thanks! 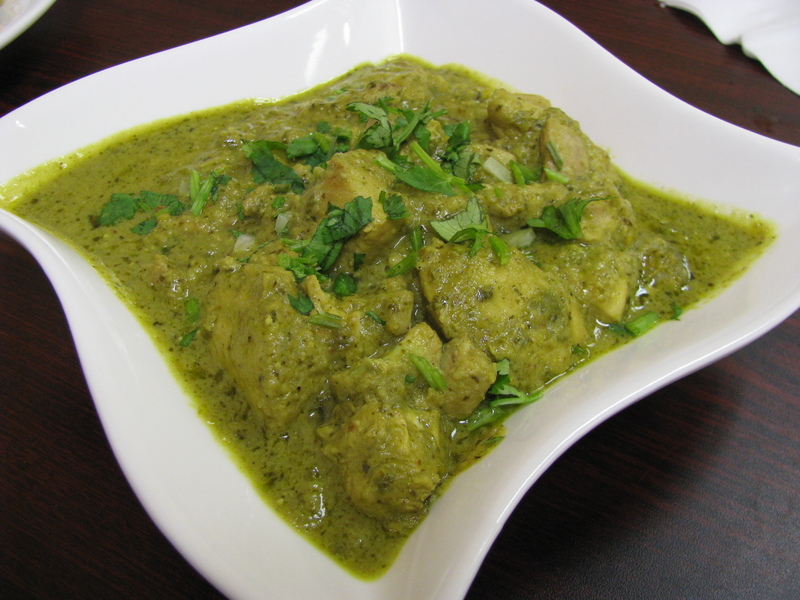 1) Flavorful bright authentic Indian food prepared on sight from fresh ingredients. 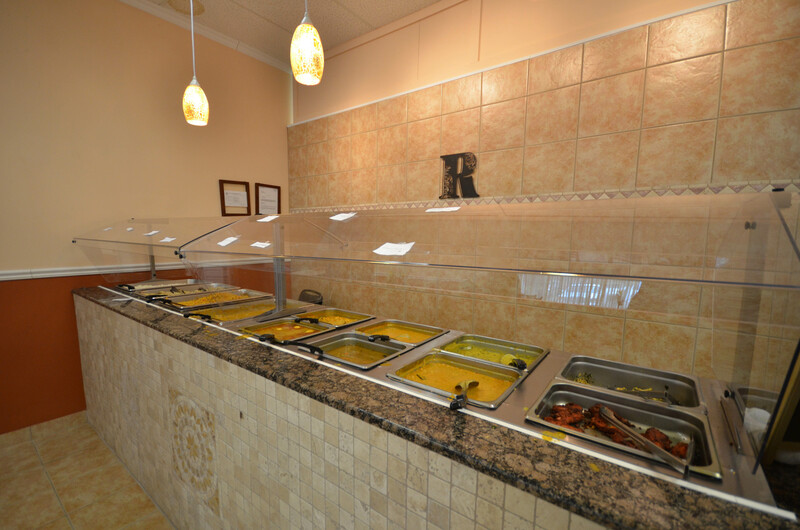 2) lunch buffet, changes daily, is only 6.99 Monday – Thursday,and 8.99 Friday – Saturday. 3) the cook is a wonderfully nice Indian woman that clearly cares what products she is putting out for her clients. If you have eaten at the numerous Indian restaurants in Columbus and have enjoyed their cuisine, Reethika will blow your mind and palate with theirs. Tried their buffet and thought it was very good…slightly different from others in the Columbus area. They definitely aren’t afraid of spicing things up a little. Just in case someone read on Reethika’s website that they are beside Patel Brothers grocery and needs a more specific location, the restaurant sits beside Kihachi in the same little shopping plaza as Lee Garden. See Jared’s blog for some more review info. Unfortunately our experience here was not as good as most it seems. My husband and I got two different chicken dishes, the Ginger Chicken and the Hyderabadi Chicken-both were almost identical but the Ginger Chicken (I think, they didn’t say which was which and they were VERY similar) had a lot of bone shards that were sharp and nearly choked us. Flavors in the dishes were not strong. No ice in the drinks was odd. The servers were friendly and the chapatti was good and the breaded peppers were okay but we will not be returning at about $10 a plate with the experience we had. We tried this place with a big group and pretty much everyone liked the place. Yes, the place lacks ambiance but makes up with good grub. I would not call the place ‘Hydrabadi’ but it has influences. The veggie selection was great . The chicken dishes were excellent. I think the wings (odd!) were standout from most places that have tandoori chicken since the taste was strong and consistent. Some of the food had enough ‘burn’ to keep the hardcores happy too. The fresh chappatis were a great idea. It could use minor improvements on appetizers and dessert but I am certainly heading back (and soon)! Reethika was outstanding yesterday. The buffet selection seemed larger and better than the last time I was in. There was even goat curry which I rarely see in other Indian buffets around town. As usual they did not skimp on the spice and every dish was fantastic. I was glad to see the place full of Desi patrons, a sure sign that the food is authentic. Closed. They had been going downhill recently, just like the other Indian spot in the same shopping center, Gokul (although they’re not closed…yet).